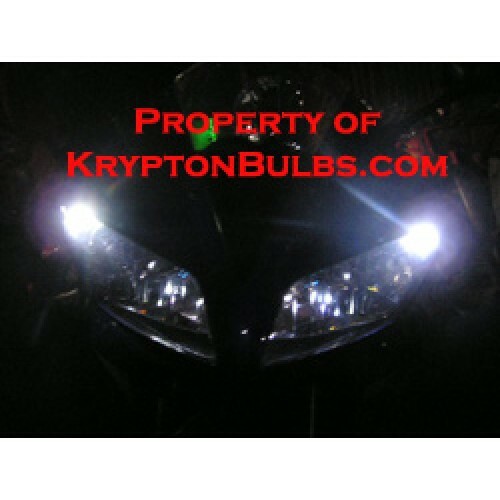 The White LEDs Give you a super clean look. It makes the front of the bike look not so busy but still extremely attractive. 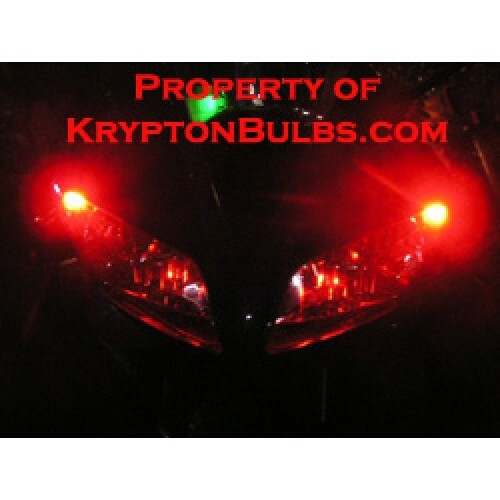 The Red LEDs are nice and bright and sure to get you noticed the color is very Vibrant. The Green LEDs I was sure I would hate... However after putting them in my bike for the pics I Love Them! They are vibrant just like the Reds and they will defiantly get you noticed as well. 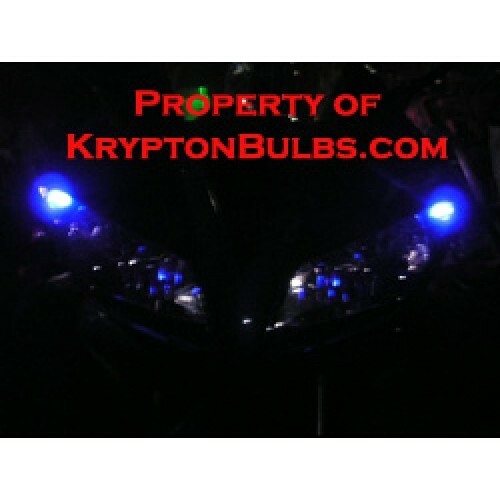 The Blue LEDs Also give your bike a nice clean look but these add some character giving the front of the machine some color at night. 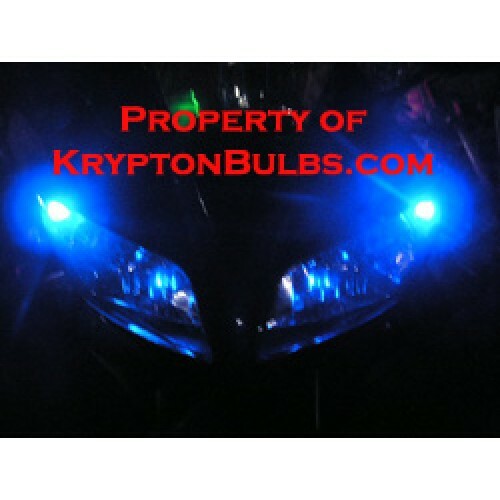 Some blue bulbs end up looking green once they are in but these LEDs come out with a nice dark Blue. The BlackLight LEDs I also thought I wouldn't like. However after installation I found that they really do look light BlackLights and they really add some mystery to the bike. They Look Very Attractive and the color is nice and rich. 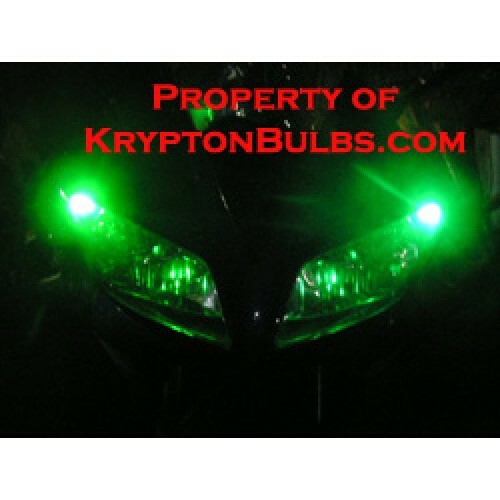 * Please note, LED's last a LONG time, but when exposed to extreme heat (like in a headlight housing) they can sometimes prematurely fail. 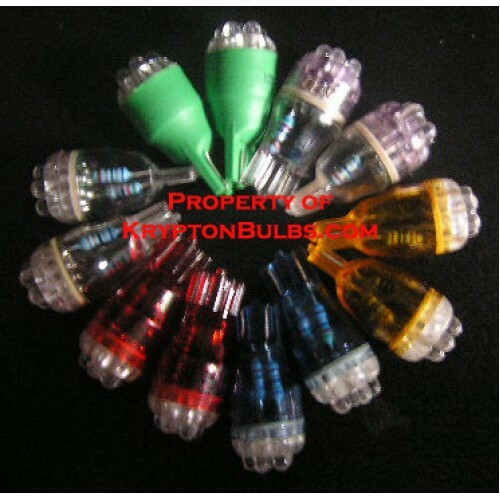 Unfortunately for this reason we do not warranty LED bulbs.